With its ideal location between Australia and New Zealand, it is not surprising that the number of cruise passengers in New Caledonia has increased by over 300% in the last ten years. New Caledonia is a French territory comprising dozens of islands in the South Pacific. It’s known for its palm-lined beaches and marine-life-rich lagoon, which, at 24,000-sq.-km, is among the world’s largest. A massive barrier reef surrounds the main island, Grand Terre, a major scuba-diving destination. The capital, Nouméa, is home to French-influenced restaurants and luxury boutiques selling Parisian fashions. Between 2013 and 2016, the cruise ship rate has grown by 32%. In 2016, there were over 509,463 passengers on board and 235 cruise ships that berthed i.e. 10.3% more than in 2015. In total, there were 504 stopovers, split between Noumea (195), Isle of Pines (109), Lifou (108), Maré (89) and smaller islets (3). The archipelago has so many highlights that each port of call is unforgettable. Bordered by the world’s largest lagoon – inscribed on the World Heritage List in 2008 – and magnificent beaches, this land of contrasts and extraordinary endemic biodiversity offers a vast array of scenery, cultures and unique activities with a temperate tropical climate, which ranges from 20 °C to 30 °C. While Noumea offers urban modernity with a touch of French Riviera refinement, Lifou and Maré (Loyalty Islands) give a total immersion among traditional Kanak way of life for cruise passengers, and the Isle of Pines stands out by the splendour of its natural scenery, a true paradise on earth. It’s a great opportunity to discover new horizons, have fun, experience exotic flavours, cultural trips and leisure activities of all kinds. New Caledonia keeps increasing its capacity to welcome cruise passengers and reinforce its port security. From 2017 to 2021, a new investment plan of AUD 35 million will allow to improve the ferry terminal, Ferry wharfs and the Isle of Pines, Lifou, Poum stopovers. It will help to maintain a high level of infrastructure and expertise to comply with the most demanding standards in terms of safety, transport, awareness, carefulness and commercial attractions. Besides, at the end of 2016, a new global tourist development strategy has also emerged, in which tourism promotion will continue and be strengthened in order to achieve the fixed objective of 1,200,000 cruise passengers by 2025. 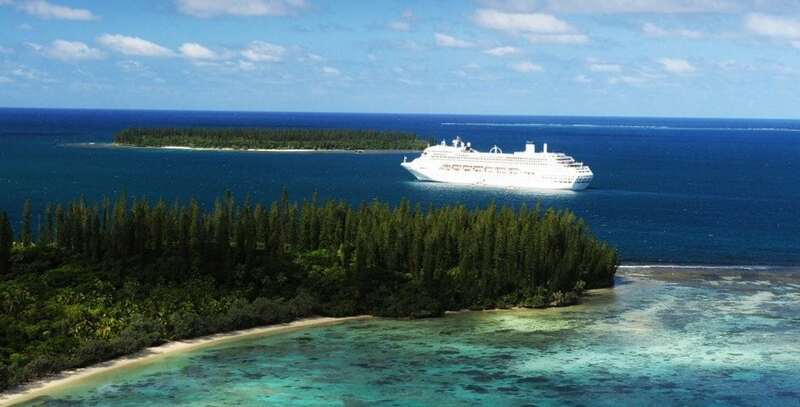 The cruise market has become a real priority for New Caledonia tourism which aims to improve infrastructure in order to be ready to welcome more and more cruise passengers in the coming years. The whole country – including institutions, private stakeholders and public communities – realizes how the cruise sector has become important for the New-Caledonia economy and is rallying in improving tourism skills to deliver the best experience to our visitors. Last but not least, on December 28th, 2016, nearly 2,000 Chinese cruise passengers were welcomed for the first time to New Caledonia and Noumea during an inaugural port of call by the Costa Atlantica cruise ship (chartered by CAISSA, one of the major Chinese tour operators) with a special welcome organised by all institutional authorities and the local tourism industry. An other new market with a strong growth potential!